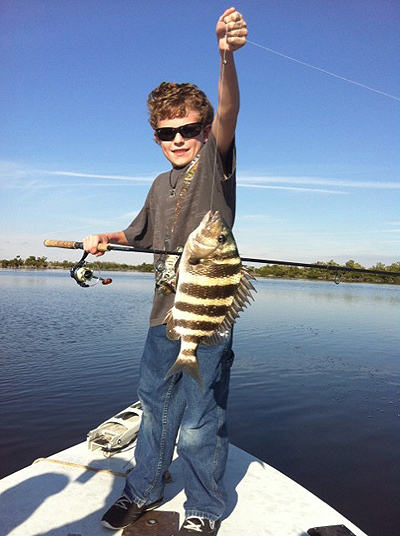 Sheepshead: Winter is the best time to target these toothy. It seems the colder the winters the better. Use live shrimp, sand fleas or fiddler crabs on a small hook fished on the bottom. When cleaning, beware of the sharp gill covers. Sheepshead are an important commercial species.